Our organization deals in offering an extensive range of CNC Axis Machines, which is manufactured using high-grade raw material. 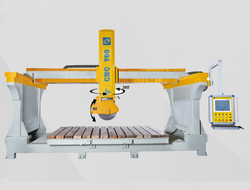 We are engaged in importing and trading of an array of CNC 5 Axis Router, which offers wide application in different industrial sectors for carving wood, metal, and different plastic. 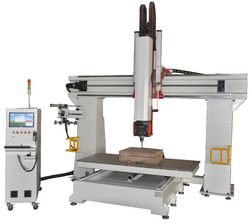 We are offering Axis CNC Router Machine to our clients. We provide high-quality products to our clients. We are offering 5 Axis CNC Engraving Machine to our clients. This Machine adopts the Italian ISAC control system, High power, high Processiing density, and high speed. All Electrical parts are from international brand. Z axis height can be increased to 1.5meter, large surface processing, suitable for large and medium- size three- dimensional surface processing. Interlligent processing cross- border protection, to prevent the mechanical impact due to excessive design documents processing. Diversity control can separately control the processing speed, idling speed, cutting speed, greatly improving the quality of speed, greatly, greatly improving the quality of speed, greatly improving the quality of processed product and processing efficienty.